Scott Ross died at the tragically early age of 38 on June 13, 1989. There is a wealth of Scott Ross material on YouTube. Other resources include my posts about his pioneering Scarlatti Sonata cycle and about Michel Proulx's engaging memoir 'An Unfinished Destiny - Scott Ross, Master of the Harpshichord'. Wanda Landowska was born on July 5, 1879 and died on August 16, 1959. There is also some priceless footage of Wanda Landowska on YouTube. 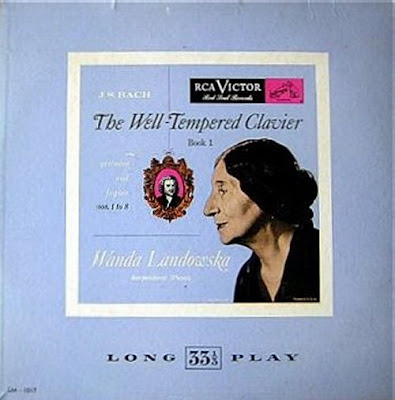 My appreciation of her, Music grows old if neglected, appeared here on the anniversary of Landowska's death last year. The anniversaries of Scott Ross' death and Wanda Landowska's birth fall while On An Overgrown Path will be enjoying an unusually long summer break, which starts today. But, needless to say, the music continues, and I am sure the other fine music blogs will keep you informed and entertained while I am offline. 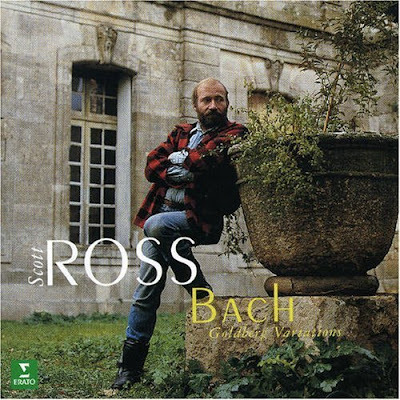 So, what better to leave you with than the sleeves of recordings by those two great musicians playing, quite appropriately, Bach.